I see it again and again, so I have to ask. Are you tired of constantly scrambling to get new clients? Is marketing sucking up too much of your time while you’re aching to be helping people instead? And even if you do manage to fill your workshops, do you find yourself wishing there was some way you could help far more people? And to top it all off, do you find yourself longing for the freedom to spend the time you want on the things and people you love most? You see, I specialize in helping entrepreneurs that face challenges like these every day. My goal? Build greater freedom and control into their businesses and lives. You feel you're burning out from too much work for too little outcome. Your revenue model's not serving you well anymore but you have no idea how to change it. You've toyed with the idea of creating an online course, but the technology scares you. You're afraid to let go of the security of what you have to reach for something better. This is your chance to join the other entrepreneurs that get everything they need to create and launch their first online course. So make your choice and click the "Save My Seat" button right now so you don't regret missing this opportunity later. The Big Leap Bootcamp® is my done-WITH-you program that guides you through creating your own online course and repeatable system that sells and delivers your value over and over. …because I’m with you throughout the process to help you understand and implement everything you’re learning about building your own online course. Think of me as your helping hand, there to provide all the guidance and support you need to build a new level of business freedom and prosperity into your life. Of course, you can continue doing and getting what’s become your “normal”…but that’s obviously not what you want otherwise you wouldn’t be reading this right now. Or you could hunker down and hope to change things on your own…but that means resigning yourself to the mistakes and struggles that come with going it solo. Or better yet, you could find someone who’s already travelled the path and successfully arrived at the destination…a mentor and trainer committed to helping you arrive too, but much faster and easier. Just imagine this for a second. Waking up to a steaming cup of coffee…AND the excitement of seeing new registrations in your inbox for your online course. Imagine smiling as you hear potential clients automatically recognizing you as an expert…and feeling the pride of having a new client thank you for helping them in an affordable way through your online course. Not to mention feeling the thrill of having a business that provides you with the freedom to do more of whatever you’re wanting in your life: spending more nights with your family and friends, working on your business from abroad, having the money to travel, or maybe even just more time to read. I imagined all that too awhile back. Now I know how to make it happen. By the way, in case we haven't met already, I'm Petra Mayer. I'm an Online Course Strategy Mentor. and serve more clients in a bigger way. And I do that by making it easy to know what you need to do – and what NOT to do – when developing your own online course. In fact, you know how some people say they “have books in them”? Well, I’ve always “had courses in me”…courses I wanted to get out, so I could help more people reach their goals. My problem was I had no clue how to go about creating my own online course. And I especially had no clue about how to get today’s powerful technology working smoothly for me. For the longest time I stumbled around making videos and I somehow cobbled together my first course. Then, still thinking I could figure this out on my own, I tried another course topic. But I Wasn’t About To Give Up Because I Knew A Successful Online Course Would Be a Game Changer For Me. So I invested my time and money in training. I learned all I could about course building and marketing and the technology involved…AND I faithfully implemented what I was learning. And somewhere along the line I had a realization: all the other entrepreneurs out there experiencing my dream weren’t born knowing how to create successful online courses. I realized those successful course creators must have learned from someone how to do it at one point. And that meant I could learn how to do it too! Fortunately for me, not only did I find the guidance I’d been missing, but I also discovered the keys to creating online courses in the process. …not only from others, but also from my MBA and my 11 years in online strategy and e-commerce with success stories like British Airways and oneworld Management Company and my one-on-one client work. ...because there's nothing worse than wanting to build and launch an online course, but struggling with the procrastination and lack of clarity that's inevitable when you're on your own. You’ll learn what to do. How to do it. And while receiving all the ongoing support you’ll inevitably need to actually make your course come to life. In my own experience, my online course made nothing less than a big impact on my business. I can say with true pride that my course provides huge value to my clients. Especially since it helps them overcome a major issue that kept them from getting their own businesses online. Now when I’m talking to potential clients, I have so much more value I can offer…plus I’m respected as an expert like never before. Having my own course also gives me lots of material I draw from for interviews, free reports, speaking engagements, workshops, blog articles and so on. Not to mention enabling me to enjoy a work-life balance where I’m energized and proud of the value I’ve created. Gives you the time to make it happen: You are already busy in your business, supporting your family and now you add this major project - no wonder you are nervous about it. And that is why I designed my newest edition of the Big Leap Bootcamp® in a way that you can flexibly decide if you want to launch your Online Course quickly or take a bit more time to do this while still getting my full support. I hope you're starting to realize the Big Leap Bootcamp® isn't just another program. 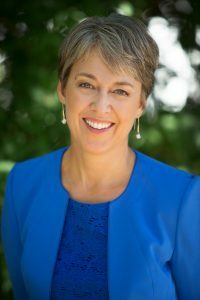 ...or the Queen of Sales Conversion herself, Lisa Sasevich, who transformed her company from a shoebox to a multi-million dollar coaching business by creating products and running 1-to-many teleseminars. The thing to remember is that no matter how large you want your business to grow, you still need the same foundation that you'll have in place after going through the Big Leap Bootcamp® program. Or you're currently marketing in-person workshops...but would love to deliver that value online to free up your evenings, make your schedule more flexible, broaden your market, and relieve the pressure of trying to fill face-to-face workshops. Whatever your situation, you'll discover the foundational elements you need for success with online courses...you'll learn what I was fortunate to learn through my 20+ years of experience in business strategy, marketing, coaching and training, and most recently, program creation. ......and then supporting them to actually get it done! And I've packed everything I've learned along the way into this new program for you. You gave me the power to know that I can do it. That was essential! Then you helped me find this concept that will make so much sense in my business. And then you handheld me and sometimes also nudged me a bit. Just a few months later, my program is ready... I am so excited. When I booked my session with Petra I was unclear about my ideal client and how to best market to him/her. I walked away from the session with much greater clarity around my ideal client and a few concrete ideas how to best serve them in my business. …and that feels very exciting to me! I am grateful that Petra shared her clarity and strategic creativity with me! It is lovely to have the clarity on where my company is going. A lot of the techniques and strategies that I learned in this program have been useful for my clients as well. I have found working with Petra Mayer to be delightful. She is very helpful and has a good big picture on business strategy and a lot of great ideas that I can apply to my company. Talk about handy! This is where you’ll access how-to tools, recordings, workbooks, video tutorials, documents and all the help materials you need to build and launch your online course. If you ever get stuck, simply login and find the training help you need…and if what you need isn’t there already, just ask me to create that content for you. How’s that for support! Further, this is the place where you can post your questions and progress report and engage with your peers and your mentor. The many worksheets and resources will be your bible during that will accompany you throughout the program. Work through your next activity. Complete targeted exercises. And move you forward through your project step-by-step until you deliver your first online course with ease and confidence. I know from personal experience that these calls are more important than you can imagine. Why? Because this is exactly where you get ongoing training and course correction that keeps you right on track with your project. On these calls I’ll also personally guide you through your action points so you won’t get sidetracked chasing shiny objects. Can you handle being heard and supported throughout this project? Good! Then get your questions answered by someone who’s already navigated the pitfalls and challenges of the path you’re on (that’s me, by the way!). During these Q&A calls, I’ll support you in any way needed to keep you on task. Think of these calls as your Business Hour with your tutor, making sure you reach your destination without feeling stressed about the journey. Bottom line: I’m with you all the way. Calls are recorded and recordings are available through the Online Platform. Whether or not you’re a fan of Facebook, you’ll love this Facebook Group. Here’s where it’s quick and easy to connect with your fellow participants. You’ll soon discover it’s a great way to get feedback, stay in touch, and interact between your sessions to get help from me and your peers. It’s just another way of making sure that throughout this project you never feel alone! These Helpful Bonuses... Believe Me - You Can't Do Without These! In my work with my clients I have noticed that the hardest part is to get started! To have a clear direction and know which of the many possible paths to pick. This is your treasure map to audience clarity, valued $497. ​You will receive access to the digital components of this Home Study Course in an easy to follow online platform. Simply follow along and you'll know like never before exactly who you're creating your course for...plus you'll discover how your course fits into your overall services so you're clear on precisely what to include and how to market your course online. This is your magnet-maker guide for wooing your audience, valued $497. ​Access to this Home Study Course will be available on the same platform that you already subscribed to for easy access. Instead of trying to force your prospects down your funnel with a hard sell, you'll be serving their needs with a tailored and helpful lead generation freebie. Think of it as a concierge on auto-pilot, authentically escorting your prospect from first contact to your course invitation. 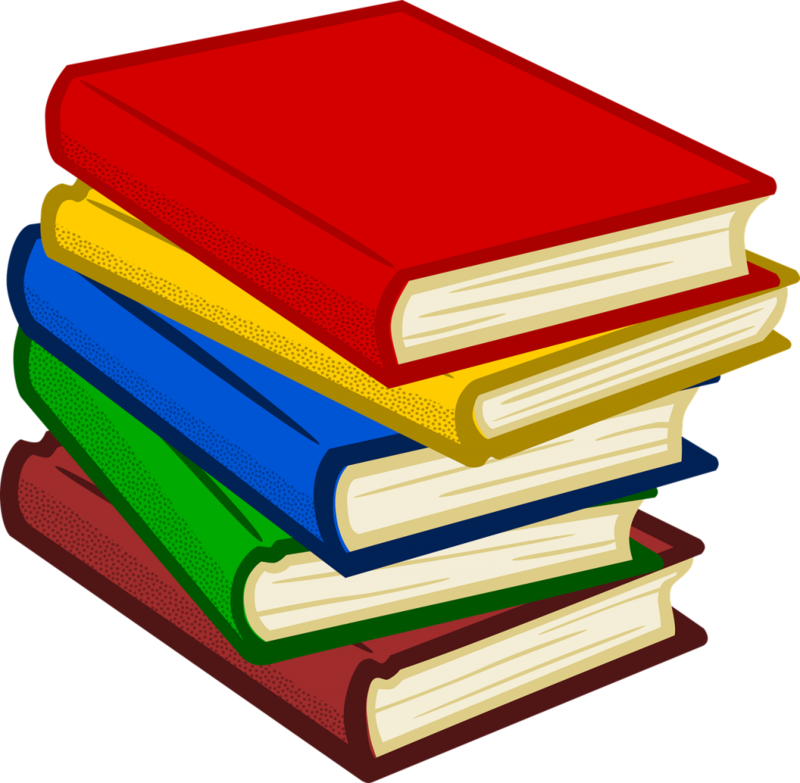 This ever growing library of resources valued at $997 that is integrated right into your Online Portal will support you at any step of your program creation. 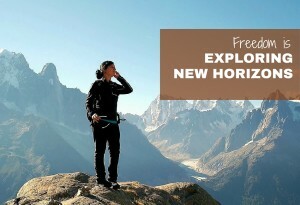 ​I work with experts and partners to bring to you resources to help you launch your program successfully and to continue to build revenue and a lifestyle of freedom and choice. Take out the stress from creating your Online Course! I know from my own experience how stressful it can be when you juggle creating your Online Course while running your business and looking after your family. So why not allow yourself a bit more time to complete it all? The Big Leap Bootcamp® with its bonuses are laid out over a six month period. And I know that you might want some extra help. Regardless if you have a business partner or the most amazing VA on the planet, I will give access to one member of your A-Team for the whole program as long as they are working with you on the delivery of your program. As you can see, these bonuses dovetail perfectly with the mission of the Big Leap Bootcamp®: enabling you with all the tools and guidance and support vital to creating your online course. And when you add up the bonuses alone, you're already saving $7,585 when you sign up today. Put it ALL together, and that’s the most comprehensive package you could ask for when it comes to having your own online course doing the heavy lifting for you. This course will save you time, money and headache. For an investment of $4,997 (all these prices are in Canadian dollars, by the way) you will move through the course creation with ease..
You can always go with a Payment Plan of 6 payments of $900 starting at time of registration and continuing during the first month of your Big Leap Bootcamp®. If you prefer the payment plan, contact me directly. …and after that, all the know-how and experience you’ve gained will continue to pay dividends to you – and all the people you help – over and over for the rest of your days in business. But I must warn you. I can only deliver this level of support and value to an intimate number of entrepreneurs at a time. That means I have to cap attendance to only 50 seats per year. So why the warning? Because I have a lineup of satisfied clients with their eyes trained on those limited number of seats…and that $7,585 of savings. In other words, if you’re at all considering attending, you need to get your name in now before the door of opportunity swings shut. …you’ll receive the same level of business-transforming benefits and personal support I’ve been delivering over all my years of helping entrepreneurs like yourself successfully create the business freedom they’re looking for. What value! You are dynamite! I’ve gained clarity over my next steps and a have a much better understanding of the big picture and how to get there. professional, supportive, and such a strong resource of quality information. Petra, I want to thank you for being both highly professional and sincerely warm; a rare combination. I'm not sharing those testimonials to make me look important. I'm sharing them so you know the important transformation you can expect to enjoy in your own business when you have an experienced guide holding your hand. 100% Risk Free "Save Your Seat"
This way you can't go wrong signing up today for the Big Leap Bootcamp®. Because, first, you'll save your seat so you can avoid coming back later and finding out the last spot has already been taken. And second, you still have a full 3 days to get all your money back if you change your mind. Just let me know, and you can have a complete and total refund. That's my guarantee to you. "I promise that, when we come to the end of the program, I will have done everything in my power to help you not only complete this program, but also to launch your course and start a totally different paradigm in your business...that means you can feel 100% sure that I'm with you all the way as we take that big leap together!" Those are my two guarantees to you. But when it comes to guaranteeing you a seat in the Bootcamp, that power is in your hands alone. You can either stay on the all-too-familiar path of struggling to find new 1-to-1 clients, and sinking night after night into your business instead of enjoying the work-life balance you want. Or you can take action today, right now, by investing in the Big Leap Bootcamp®…and setting yourself on a path of new possibilities, from course registrations showing up in your inbox, to being recognized as an expert, and providing service to your clients without it always taking your time away from the things and people you love. This really is your choice to make. And this is the time to choose. As for me, I’d love to have you in this program and help you build the freedom you’re looking for…so consider this my personal invitation to you to take this step forward together with me. You know that what you’ve been doing can’t get you where you want to go. So if you don’t sign up for the Big Leap Bootcamp®, you have to ask yourself, what else is going to get you there? Unless commitment is made, there are only promises and hopes: but no plans. We both know that fortune favours the bold, so don’t wait – take that first step right now, while seats are still available. Then be prepared to finally feel how amazing it is to begin your journey of once-and-for-all moving away from the demands and limitations of a business model skewed toward 1-to-1 value delivery. Looking forward to seeing you in the Bootcamp! P.S. 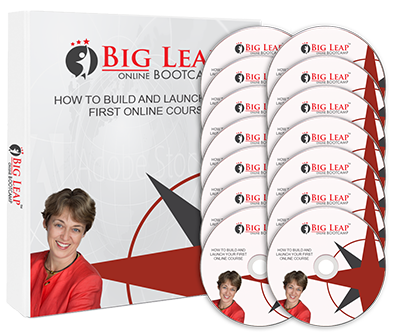 Remember the Big Leap Bootcamp® is your done-WITH-you solution to building and owning your first online course while avoiding all the mistakes and delays I had to pay for by figuring all this out myself. What’s included in the Big Leap Bootcamp®? A treasure trove of everything you need to learn how to create your first online course: in-person and virtual training, training calls, Strategy Power Hour calls, a dedicated Facebook group, an online training portal with videos, documents and a discussion forum, all your bonuses including your private 2-hr Strategy and Planning session, Home study courses "Crystallize Your Niche" and "Lead Magnet Generation" and above all - the gift of support: Bring one member of your A-Team (your business partner or your dream VA) at no extra cost. Looking for a help guide that's not there? No worries. Just ask, and I’ll create it for you. Because the selection can be highly personal, the system-related expenses and third party resources you’ll need when creating and running your online course are not included (you’ll definitely learn about all those things…it's just that the cost depends on your personal needs and is therefore not included in the program). What will my outcome be? Get ready to enjoy a new level of clarity. Clarity when it comes to your niche and what they want. Clarity of how to evolve your existing business model to support online success. And clarity regarding how you'll generate revenue in the years to come. And what will be the tangible results of that clarity and the work I guide you through? Your new sales funnel. 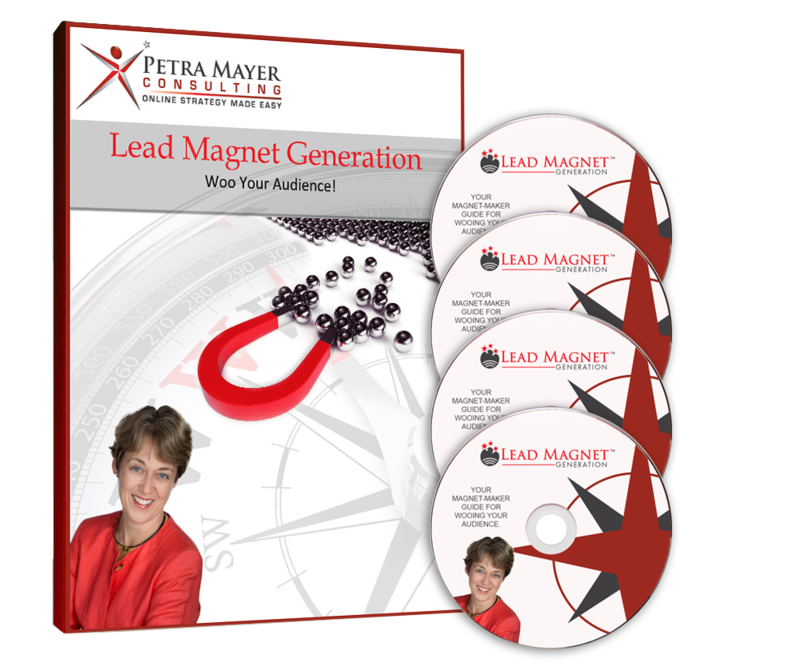 Your lead-attracting freebie. Your shiny new online course. And best of all, having all the launch pieces in place so you're ready to go live and start generating income! How can I know this is right for me? Do you feel tired of constantly finding new clients only to serve them in a limited 1-to-1 model? Or are you exhausted at just the thought of marketing your next in-person workshop? Or, instead of sinking night after night into your business, would you rather be investing that time into what you love most? (Especially if you could still be helping and supporting your clients through your online offerings?) Or would you love to have the freedom of providing your value from anywhere in the world? Then this is for you. And by the way, I can relate. I've felt those same frustrations and have gone through this same process myself...which is precisely why I can help. Okay, so tell me how much time I'll have to invest? Learning Program: Every month you have access to a VIP Get-It-Done Day and two Group Calls in addition to Online Training Material. I suggest to schedule 15 hours of training time per month. Implementation: Your implementation will depend on the complexity of your program, what existing content you can leverage, and if you'll outsource some of the tasks involved. That said, assuming you were building a course that was anywhere up to a 5-week self study program, you could expect to budget 10 hours per week for creating your course and funnel. You don't have to think of this like an assignment that has to be handed in by a deadline. The simple reality is that it takes different people different amounts of time to create a course. It took me a full 3 months to create my first online course. But you need to know my specialty is helping you get through your learning curve faster than fumbling around on your own, like I did. On that note, I'll let you in on a big secret: keep the scope for your first program manageable, which is something I'll definitely help you with during the ongoing mentorship and coaching. Will I have access to the material beyond the program? Absolutely! If you need extra support after the completion of the program - I've got your back. Talk to me about the continuation program and of course join my Freedom Seeker's Mastermind Facebook Group for continued support. What if I have to cancel for some reason? If you sign up today to save your seat, you’re covered by my 100% Risk Free “Save Your Spot” 3-Day Money Back Guarantee. You’ll have a full 3 days to get all your money back if you change your mind. Just let me know, and you can have a complete and total refund. That’s my guarantee to you. From that time until the program starts, if you cancel there’s a minimum cancellation fee of $500 (unless you refer a friend who takes your seat J). And, of course, the cancellation fees would never be more than the course fee itself! Still have questions? I want to make absolutely sure you get the answers you need. And the easiest way for that to happen is to signup for my no-fee Online Breakthrough Session. Click that link to sign up right now. You’ll be glad you reached out. Amazing Bonuses valued at $7,585: 2-Hr Private Strategy and Planning Session to set you up for a successful Online Course Creation; Two online courses that help you achieve your goals faster than you think; Bring in your A-Team: One team member working with you on your program will have access to the full Big Leap Bootcamp at no extra cost. …all for the investment of just $4,997. Click the “Save My Seat” button now so you don’t regret missing this opportunity later.